To demonstrate the power of goggles equipped with AR and VR, the assistive technology company recreated the event on Facebook Live this weekend. The client "came to us with an open brief wanting to add some humanity to their technology," said Patrick Scissons, global chief creative officer at KBS, part of MDC Partners. So the creative team developed the idea of replaying a key milestone in a person’s life for which sight would have made a difference. KBS found Airey among eSight’s database of 10,000 people with vision disabilities. 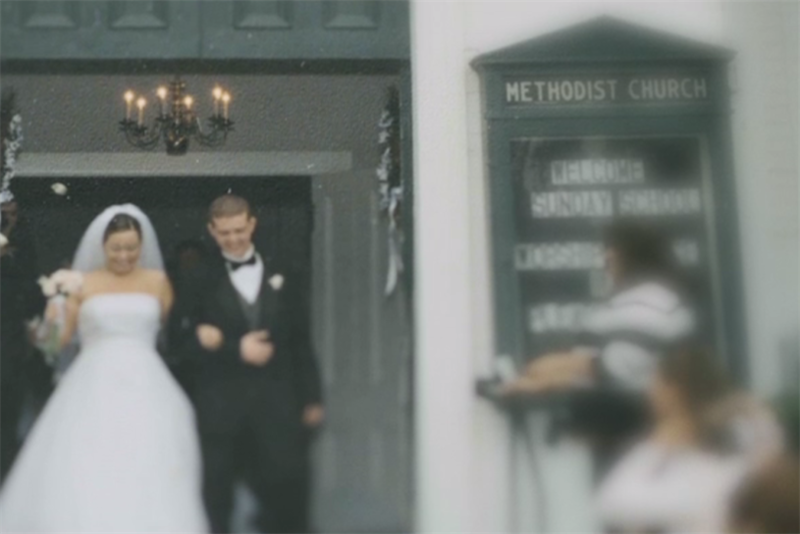 "Everything about Andrew’s story, and not being able to see his wife walk down the aisle fit so well into the narrative we wanted to create," Scissons said. The concept itself was in the works for several months, but Airey was approached about a wedding re-creation only two weeks ago. April 30th, the day of the livestream, was the couple’s 15th anniversary, so timing was tight. "Everyone wanted to be involved, because they really believe in this story and want to give this man an opportunity to recreate the best day of his life," Scissons said. KBS also created a short film documenting Airey’s life and how he and his family have coped with his condition. Directed by Hubert Davis, who was nominated for an Academy Award for his 2005 film "Hardwood," the spot blends documentary filmmaking with experimental visual techniques to help Airey express to viewers what it’s like to live with impaired sight. This isn’t the first time KBS has helped restore some functionality to a patient suffering from a degenerative disease. Last fall, the agency teamed with Microsoft to allow former NFL defensive back Steve Gleason sign a football jersey with his eyes—the only part of his body his long battle with ALS has left him able to move. "We spend most of our time focusing on human insights that are authentic and have a critical link to the technology innovation at play," Scissons said. "Otherwise, it’s just showing shiny objects for the sake of showing shiny objects."